According to legend, the Eternal City was founded in the 8th century when Romulus and Remus (twin sons of Mars, God of War) fought over the rule of the new city, and Romulus killed his brother. Rome’s verifiable (pre-)history dates back some 6,000 years, but it has been confirmed that there was a settlement on the Palatine Hill by the 8th century. In the 6th century BC, Rome declared a Republic in 509 BC, elected a senate, and began to expand rapidly. Despite being sacked by a Gallic tribe around 390 BC, Rome had seized the whole Italian peninsula by the end of the next century. At the end of the republic, military dictators emerged, including Sulla in 82 BC and Julius Caesar in 45 BC. Later, Augustus became the first emperor of Rome and initiated 200 years of peace and prosperity. By the late 2nd century, Rome’s power stretched from Britain to Eastern Europe, North Africa and the Middle East. Near-constant power struggles followed, until Diocletian divided the Empire in the late 3rd century. After Constantine’s death, Rome split and went into terminal decline. The city was sacked twice in the 5th century and again in the 6th. The Byzantine inheritors of the eastern Roman Empire dominated Rome until the late 8th century, when the Popes struggled for control. Centuries of feuding between the church, nobles and foreign powers followed. Rome thrived in the 15th-century with the Renaissance, and the Papacy took up permanent residence in the city after moving from Florence. 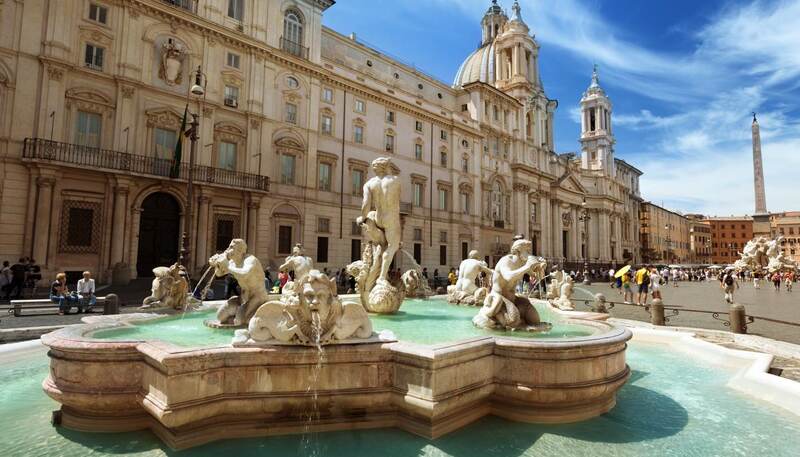 Over the next 200 years, many of the city’s most impressive buildings were built, including St Peter’s Basilica and the Sistine Chapel, and the likes of Michelangelo, Raphael and Botticelli were patronised. 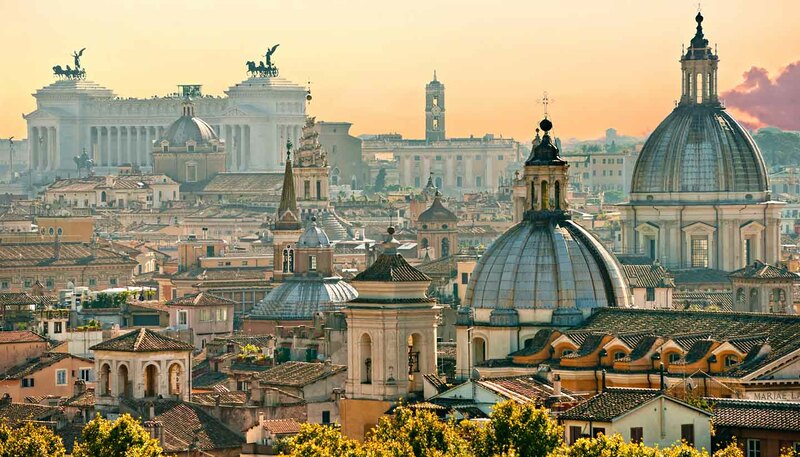 Rome later became capital city of the newly unified Italy in 1861. After WWI, Benito Mussolini led the March on Rome and fascist rule was imposed until near the end of WWII. After the war, the city grew and modernised significantly, and became one of the world’s most fashionable city’s in the 1950s and 60s. • Constantine is said to have converted to Christianity after seeing a cross of light in the sky before the Battle of the Milvian Bridge in 312. This was instrumental for the early Christian church. • Although Rome was claimed by the Allies in 1944, the German Nazis had withdrawn a year before, which is partly why it suffered so little damage during WWII. • When Rome finally joined the new Italy in 1870, after the withdrawal of Napoleon III from the Papal States, the Vatican rejected the new king’s right to rule. The dispute was not resolved until 1929.